The Fowler Museum at the University of California, Los Angeles, is extremely fortunate to have a rare group of eleven Joli headdresses from Sierra Leone, which are on view in the museum’s Focus Gallery through July 16, 2017. Joli headdresses are among the most complex and elaborately configured masquerade structures we know from sub-Saharan Africa, and the Joli masquerade was performed only in the port city of Freetown, the capital of Sierra Leone, during the 1970s. Following Sierra Leone’s independence, achieved in 1961 after over one hundred fifty years of British colonial rule, a wave of young migrants from the countryside—mostly members of the Temne ethnic group—moved to Freetown in hopes of finding greater opportunities and a better future. This gave rise to socioeconomic concerns about how best to integrate this influx of newly arrived young people into the city. Charitable organizations in Freetown—among them the Zorrow Unity Society and the Young Men’s Muslim Association (YMMA)—offered them food and shelter. These organizations also sponsored a variety of guided activities to help them adjust to urban life. MASQUERADE HEADDRESS of wood, pigment, wire, fabric, fringe, braid, polyurethane foam, metal, 58.4 x 55.9 x 68.6 centimeters, Freetown, Sierra Leone, circa 1970s. Images courtesy of the Fowler Museum at UCLA. Notable among these efforts was the sponsorship of masquerades. Zorrow Unity and YMMA formed the Joli Society to produce a citywide parade festival to celebrate Eid al-Fitr, as well as other festive occasions. Members of the society were tasked with helping to create the spectacular headdresses that they would wear during these occasions. The word “fancy,” used to describe the events, seems to have come from its appearance in advertisements for yardage in local newspapers, as ornate brocades, damask, lace, and fringe were key materials used to create Joli headdresses. The term may also have entered the lexicon because “fancy costumes” were worn at balls during the British colonial era. Deeper antecedents of the Joli masquerade may reside in a lantern festival celebrating the Muslim holiday of Eid al-Fitr that seems to have originated in the 1930s and may have been inspired by a Gambian festival celebrating the Christmas season. Over time, the handheld lanterns morphed into large motorized floats constructed with bent and twisted wire, bamboo and wood. These wire frameworks were covered with layers of fabric and paper. In the 1970s Joli headdresses were made using the same materials and techniques and adopted many of the themes that had been used in the floats, becoming a sort of portable equivalent. The elusive water spirit Mami Wata, who represents beauty and fertility, was frequently represented on headdresses. She often wears an elaborate crown, which may represent her own power or be a holdover from British royal iconography. A rampant lion and unicorn, symbols of the British crown, are also commonly featured on Joli headdresses. As Sierra Leone was and still is predominantly Muslim, it is not surprising that superstructures also portray mosques or Al-Buraq, the magical horse with a human face who carried Muhammad from Mecca to Jerusalem and back. Elephants, biplanes and other fanciful imagery are also common. X-RAY OF MASQUERADE HEADDRESS shown above depicting the structural engineering of the object primarily using wires of different gauges. CT scan and X-Ray made possible with the cooperation of the UCLA Radiology Department, Translational Research Imaging Center. Joli headdresses were produced in several stages, each undertaken by individuals with different skills. During the course of exhibition preparation and research, the Fowler arranged with the UCLA Radiology Department, Translational Research Imaging Center, to have one of its headdresses examined using Computed Tomography (CT), which employs computer-processed combinations of many X-ray images taken from different angles to produce cross-sectional images, allowing the viewer to see inside an object without cutting or dismantling. As the CT scan reveals, the first and innermost layer provided the headdress’s structural foundation or armature and was made from bent and twisted wire of different gauges. A second layer was composed primarily of polyurethane padding, which was in turn overlaid with a wide array of materials: cloth printed with floral motifs or animal prints, gingham, shimmering brocades, lush velvets, beaded veils, and embellishments including Christmas tinsel, garlands, plastic flowers, cowrie shells, fringes, rickrack, lace, and mirrors. One or more wooden masks were attached to the fancy superstructure, giving a face to the Joli headdress. The coiffures of these carved wooden masks were painted a high-luster black, which helped to reflect the light, and the use of pink, violet, red, and other vibrant colors to paint their faces is evocative of masking traditions of southeastern Nigeria, especially those of the Ibibio peoples. The entire headdress was worn on top of the head. The Joli masquerade performer completed the ensemble with a full-body costume made of printed cloth, with white gloves and knee-high white socks to cover his hands and feet. MASQUERADE HEADDRESS of wood, pigment, wire, fabric, tinsel, fringe, ribbon, metal, 91.5 x 68.6 x 55.8 centimeters, Freetown, Sierra Leone, circa 1970s. MASQUERADE HEADDRESS of wood, pigment, wire, fabric, tinsel mirrors, fringe, ribbon, metal, 64.7 x 53.3 x 16.73 centimeters, Freetown, Sierra Leone, circa 1970s. MASQUERADE HEADDRESS of wood, pigment, wire, fabric, tinsel, fringe, ribbon, metal, 91.5 x 68.6 x 55.8 centimeters, Freetown, Sierra Leone, circa 1970s. Gassia Armenian is Curatorial and Research Associate and Editorial Assistant at the Fowler Museum at the University of California, Los Angeles, where she conducts collections and database research to facilitate curatorial and scholarly endeavors and manages various aspects of planning and organizing museum exhibitions. Prior to her work at the Fowler Museum, Armenian was a Consultant-Project Coordinator at the US Agency for International Development—for Junior Achievement of Armenia where she developed and implemented civics-education training programs and teaching methodologies for principals and teachers from the Republic of Armenia in the United States and in Armenia. 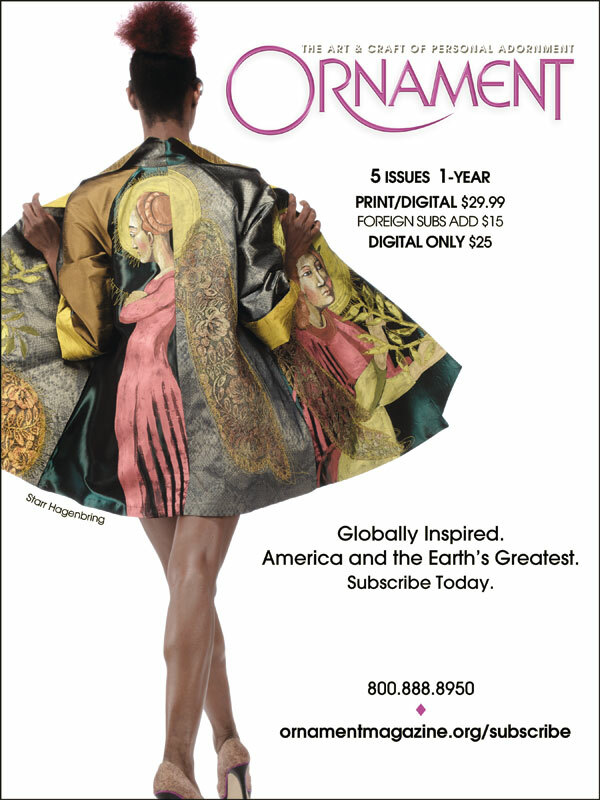 In this issue, she writes about the Fowler’s exhibition on Sierra Leone headdresses.